Park City is Located 10 minutes north of downtown Wichita along I-135. From Park City you are able to travel anywhere within the county on the interconnecting highways located close to the City. Park City has a population of 7, 877 of diverse ethnicity. Incorporated in 1980, the fourth largest city within the County, Park City continues to grow at a current rate of 10.2% per year. Within Park City you will enjoy seven parks, a swimming pool, and a fishing lake. There are currently eight active subdivisions with housing priced from the mid $80,000 to over $400,000. View information on Lions Club and other civic Organizations in Park City. Browse information about vehicle registration and other helpful resourcrs about living in Park City. Browse the new home subdivisions in Park City. View information about city-maintained parks. View the Park City Public Library website. 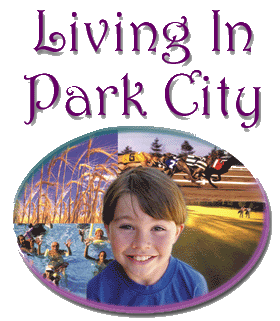 View information on schools in the Park City area. Find information on the Park City Senior Center. Browse churches in the Park City area.